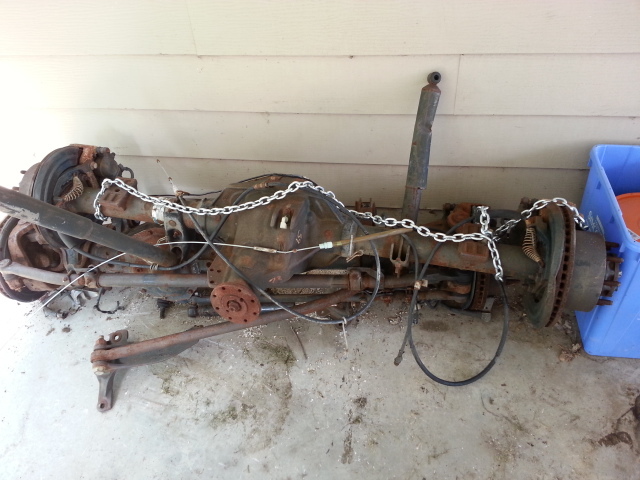 I have for sale a mint condition set of axles from a 2005 F350. They are 3.73:1 ratio. They are in such great shape that the factory paint is barely missing. 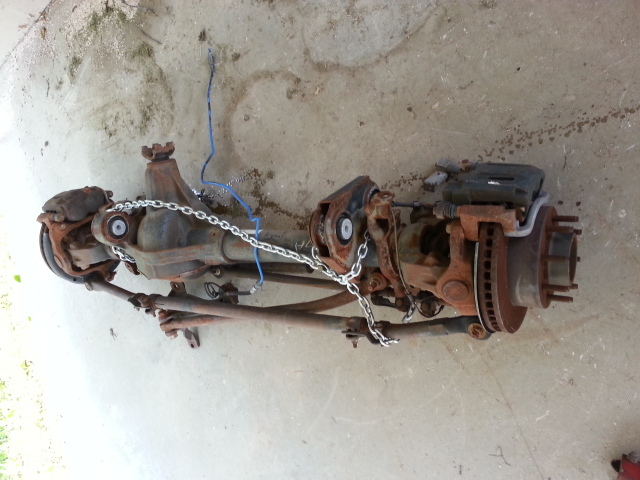 The front is the '05-present Dana 60. These have the better unit bearings and beefier knuckles than the '04 and older. Also has 35 spline inner and outer axle shafts with 1480 series u-joints. The ABS sensors and brake lines appear to be in great condition. Also includes the track bar and mounting bracket for a custom install. The rotors have surface rust from sitting, but no grooves. A cleanup and they will last a long time. The stock vacuum hubs are missing, so they will need to be replaced. 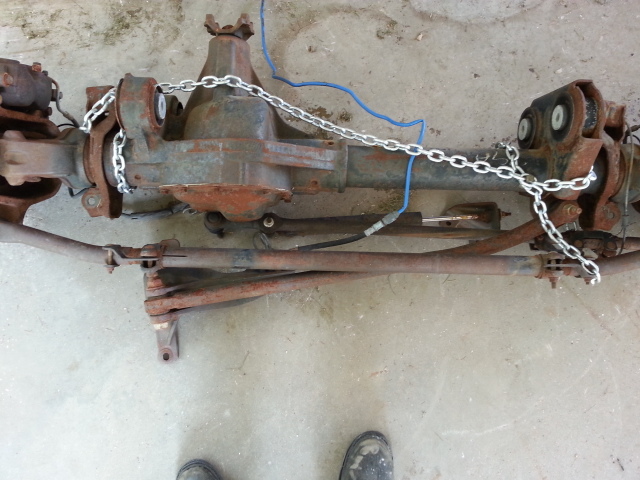 Anyone needing this axle would get a set of aftermarket hubs and toss the stock junk anyway. The rear is a Sterling 10.5" full floating axle. It has disc brakes as well as a speed sensor for a stock or custom install. This is great to get rid of the ABS light and keep it semi-legal. The brake lines look to be in good shape. The rotors have a bit of surface rust, but no goove, so a cleanup and they're good to go. Also included are the stock emergency brake cables. I'm located just 45 minutes north of Toronto, Canada.